USAopoly, board game distributor and licensor, have just created a Rick and Morty version to the classic Operation game. Just like the the original Operation, players will test their physical abilities as they remove parts from the cardboard cadaver — except this time around, organ names have been replaced with “Funatomy” pieces that are contained within “Anatomy Park” host, Ruben. Just like the animated show, Ruben contains a cocktail of illness-themed attractions ranging from Cerebral Cortex Carousel, Haunted Liver, Pirates of the Pancreas, Colon Log, Sphincter Dam, and Bone Train, to name a few, and it is the players job to remove each bodily “attraction” without touching the forceps to the metal edges of the game; with each successful removal of an illness, players are rewarded with varying amounts of play money. 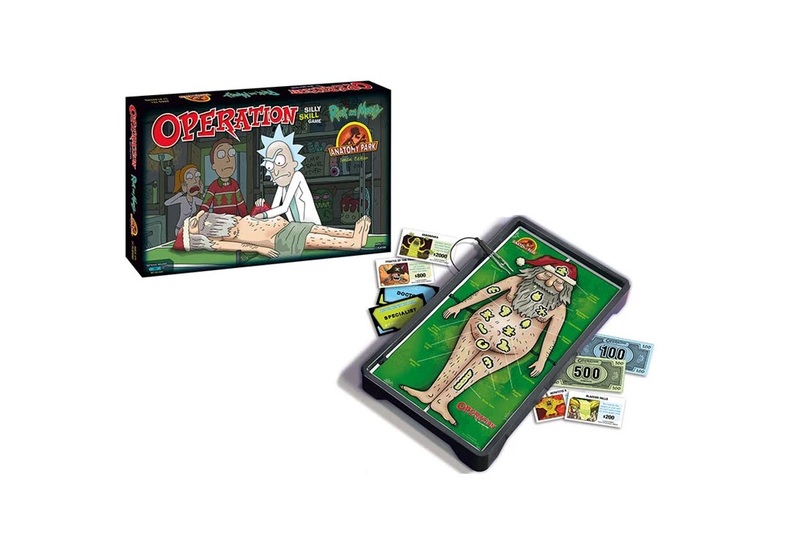 Due to the subject nature of the Rick And Morty “Doctor” and “Specialist” cards, this version of Operation is for ages 17+. Those looking for this version of the classic game can find it over at Amazon for a price of $30 USD. Click here to buy. Also Rick and Morty Anatomy Park Game. 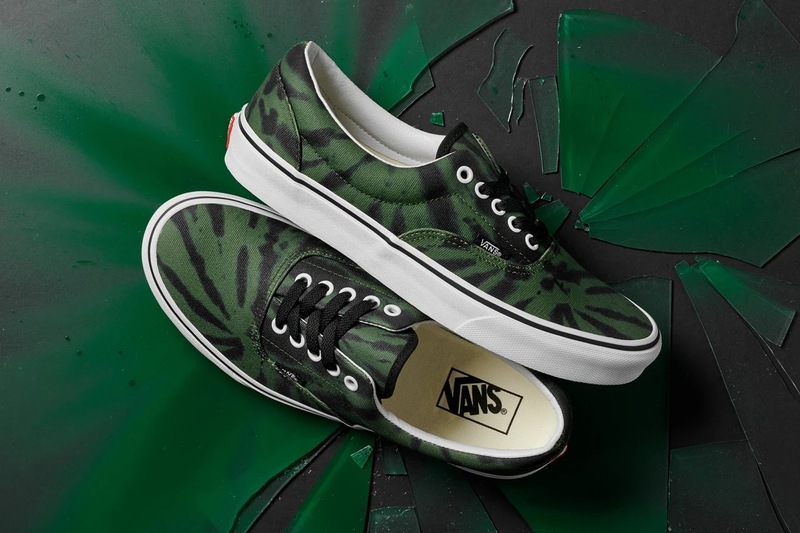 The Vans Tie Dye pack is inspired by San Francisco‘s famed Haight and Ashbury streets, in which the colorful hand-dyed pattern has been a prominent technique for decades. 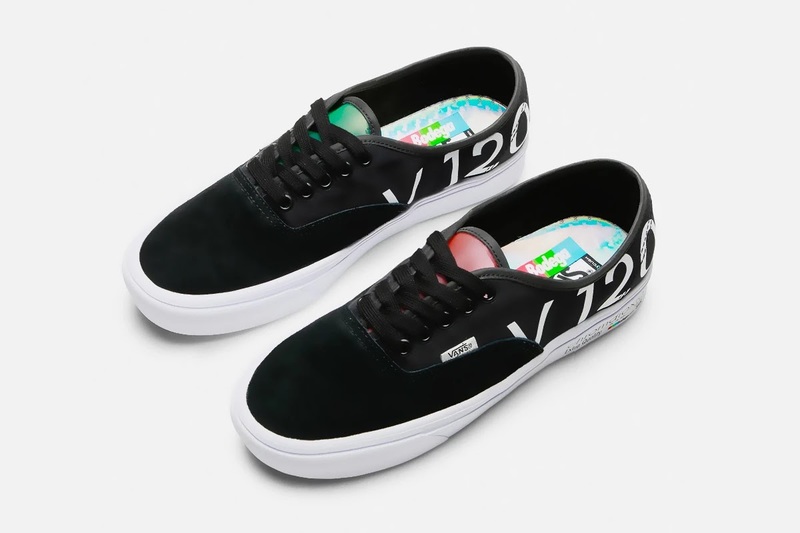 Vans relied upon digital printing to execute the eclectic design of each shoe, which is offered in three bold colorways of red, yellow and green. 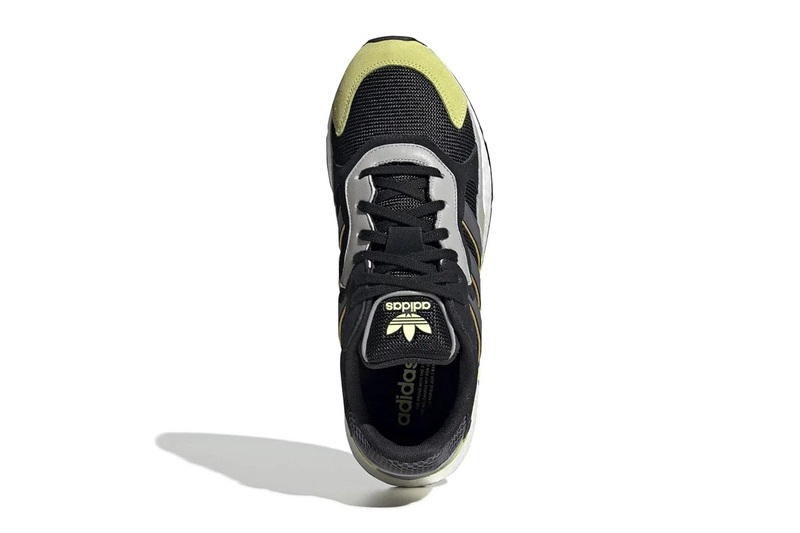 The vibrant primary-hued palette is accentuated with a black binding stripe along the tongue, as well as black laces. 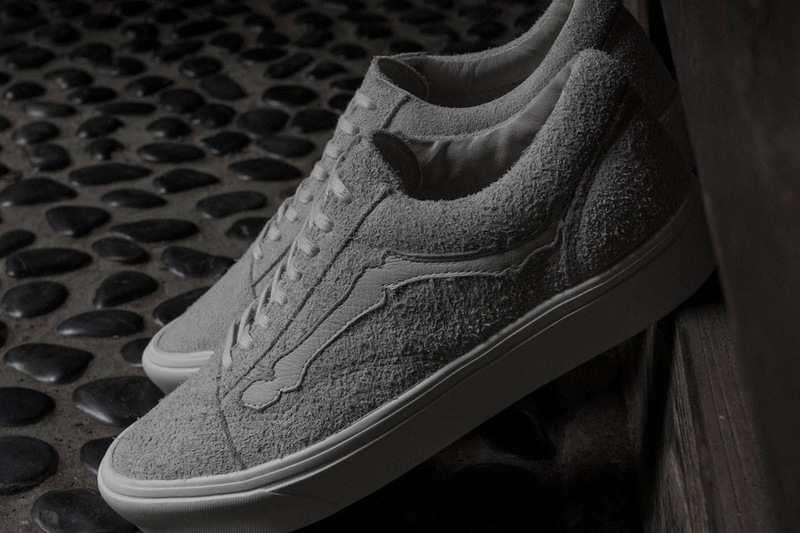 Each shoe also features white eyelets, which provide a small neutral touch. 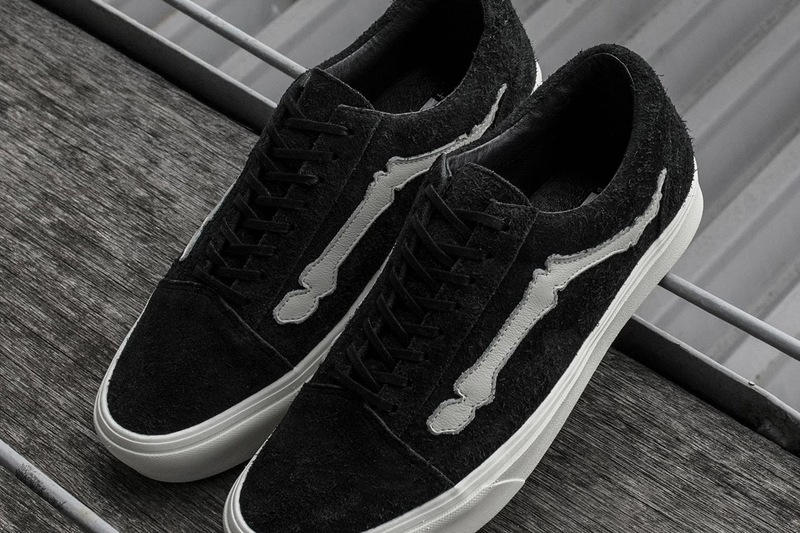 The usual double-stitched upper remains in tact, as well as traditional branding hits on the insole, quarter logo and heel logo areas. 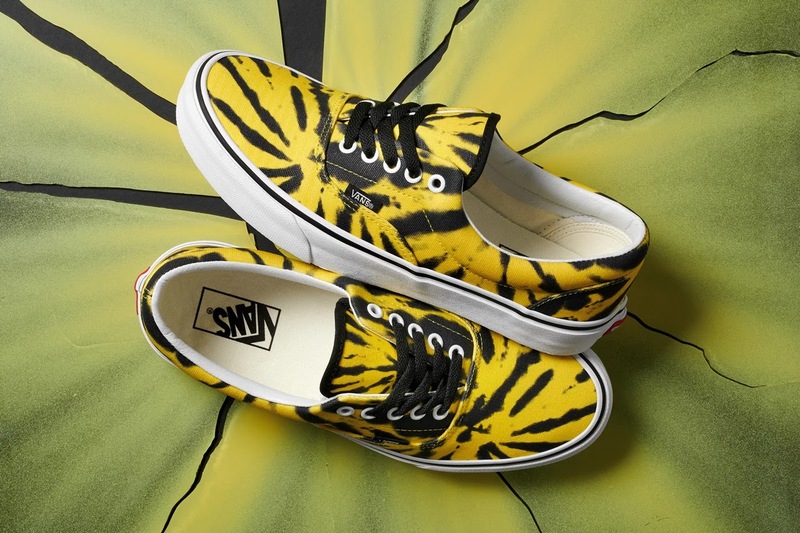 Expect the Tie Dye collection to be available in Vans stores and online at Vans.com beginning in March. 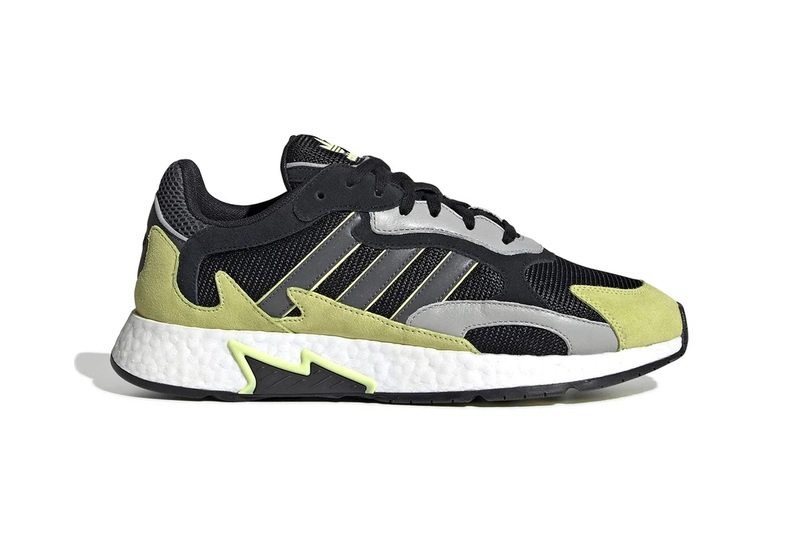 Amalgamating modern designs with a ’90s-inspired model, adidas Originals returns to drop another boisterous colorway of the TRESC Run. Mixing different textures on the uppers, the hybrid silhouette clashes the core black mesh with suede and leather overlays. 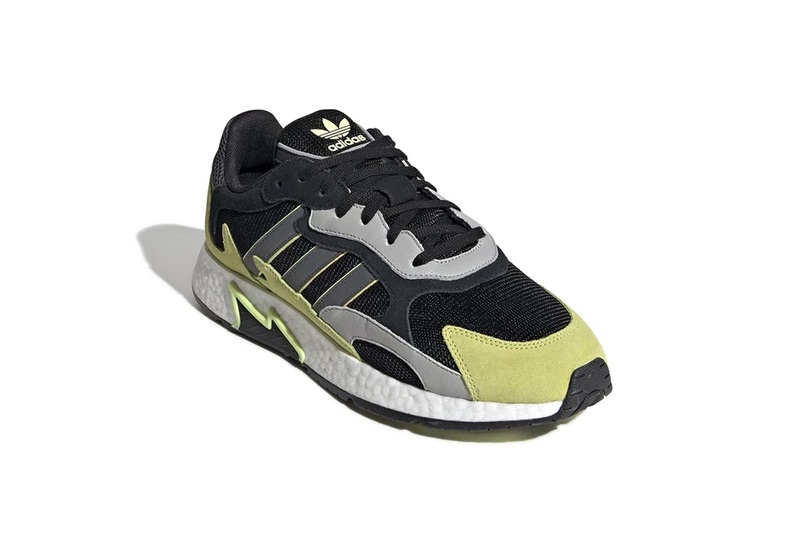 Hits of faint yellow appear on the mudguards and midfoot flame motifs, while the lace stays and Three Stripes insignias are dressed with various shades of grey. 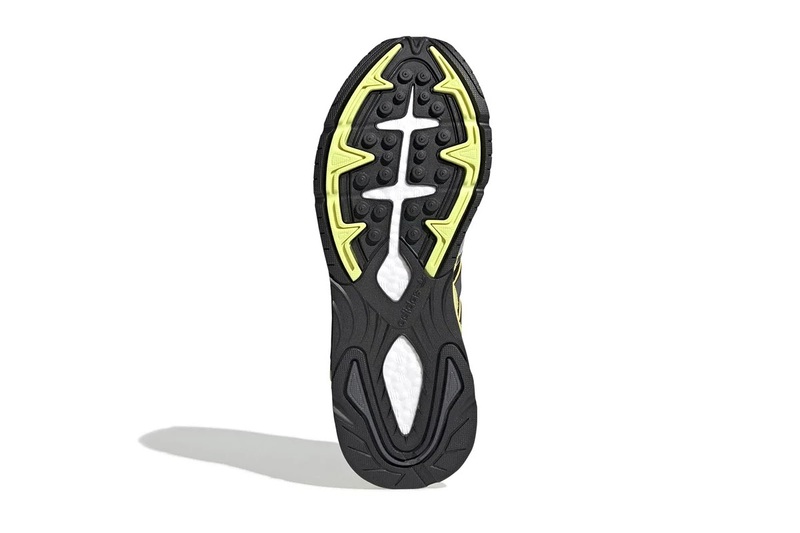 Solidifying the up-to-date look are the clean white BOOST sole units, adding extra cushioning to the feet. 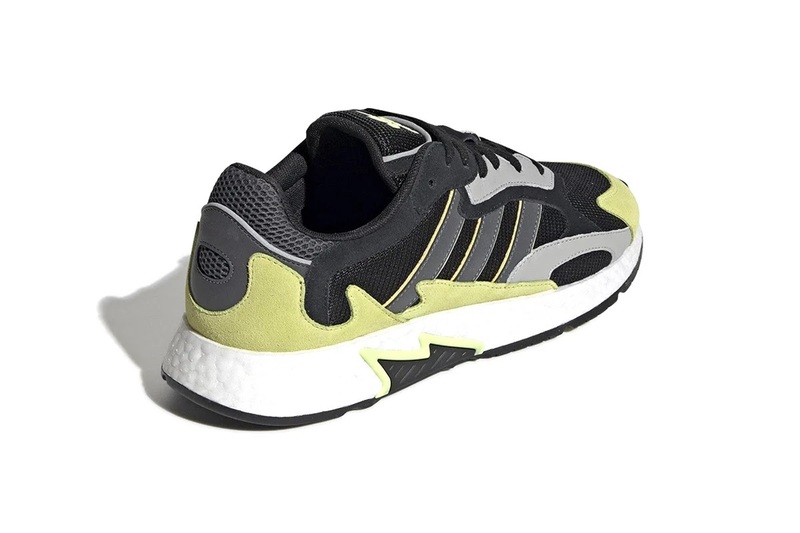 Priced at $130 USD, the new adidas TRESC Run is currently available for purchase at select retailers like Champs. 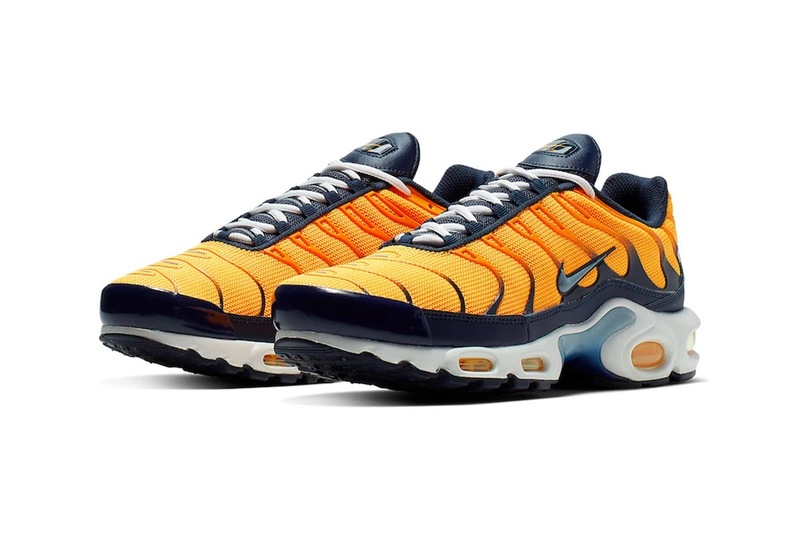 The Nike Air Max Plus is never short of colorways and this time around, the popular sneaker returns again in a flashy and attention-grabbing bright orange and navy colorway. 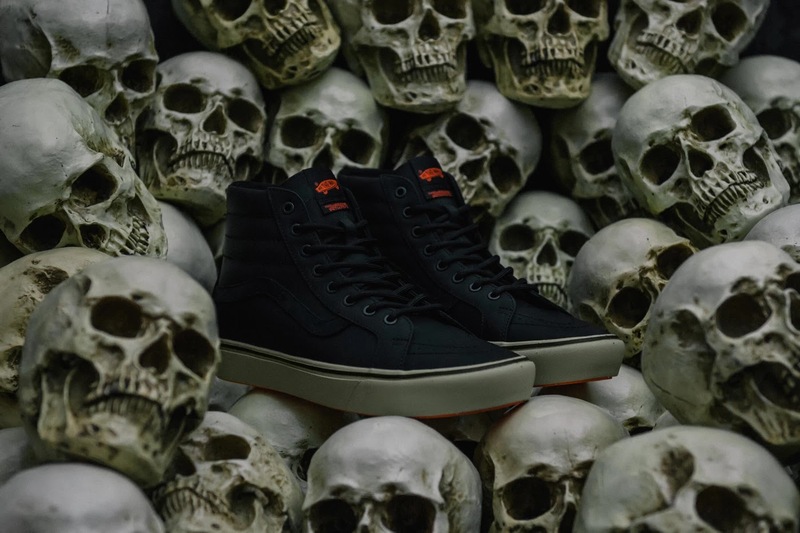 The upper of the shoe is dressed in a bright orange mesh with the overlays accented with a fading orange hue into navy to match the tongue of the sneaker. 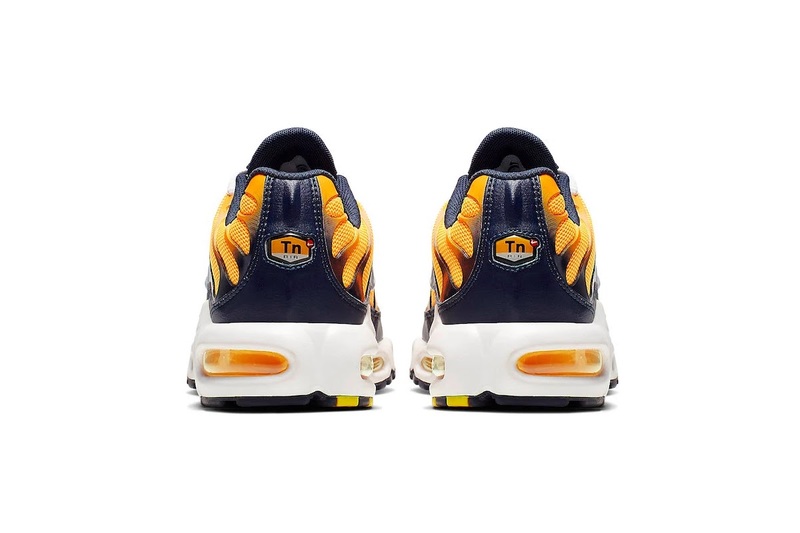 The exposed Air unit is presented in an orange tone along with a blue gradient plate between the heel and forefoot area. 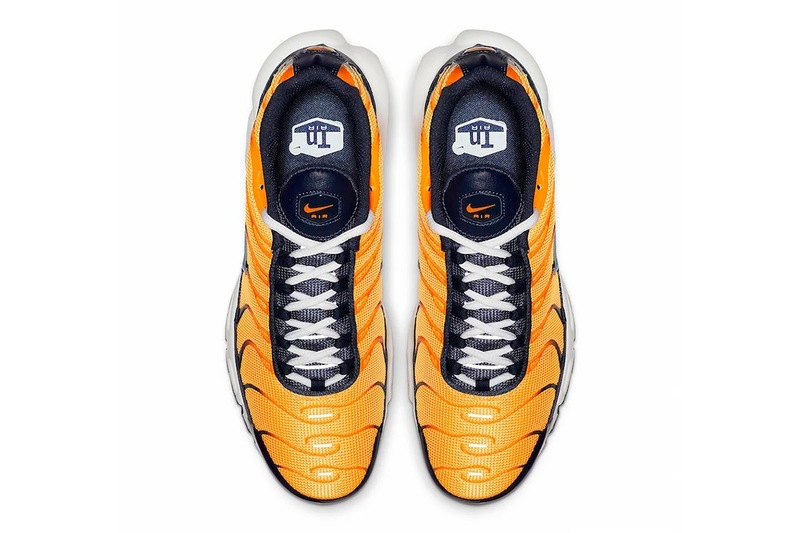 Finally, a silver Nike Swoosh motif graces the midsole area, along with orange Nike branding on the tongue and heel of the shoe. 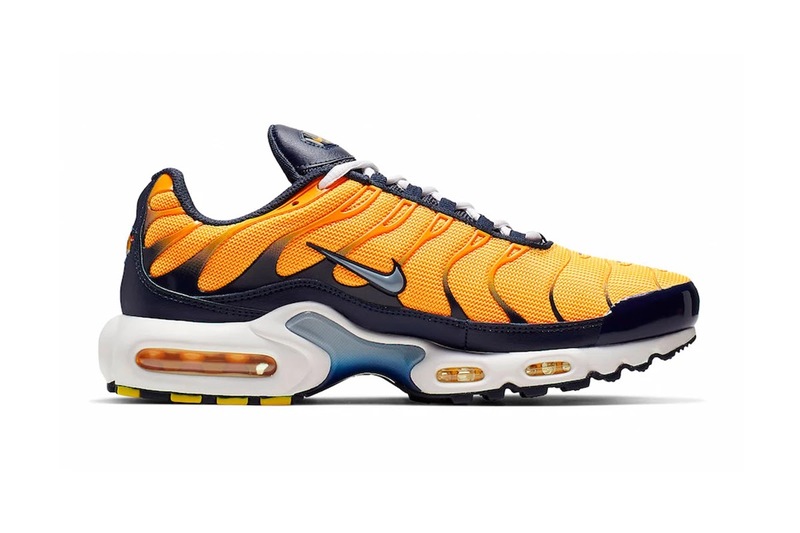 This Nike Air Max Plus is priced at $160 and expected to hit nike.com and retailers soon. 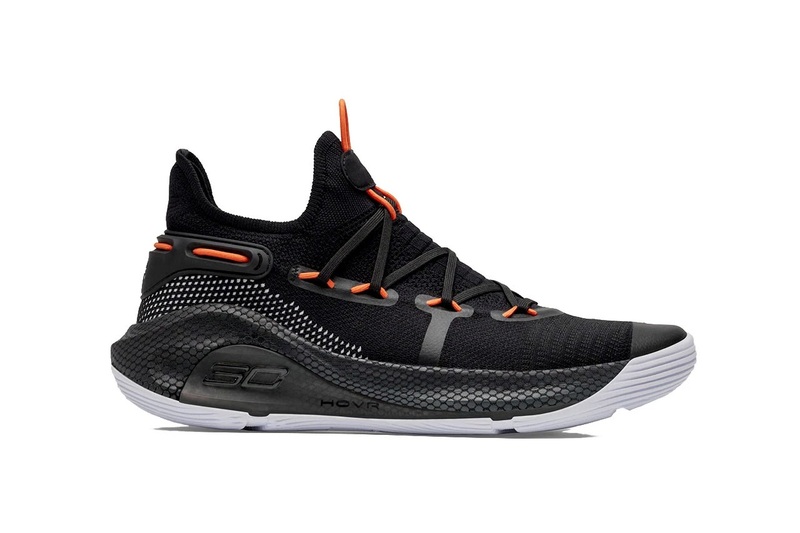 Following the recent “Coy Fish” colorway, Stephen Curry‘s signature shoe is receiving a more understated makeover. 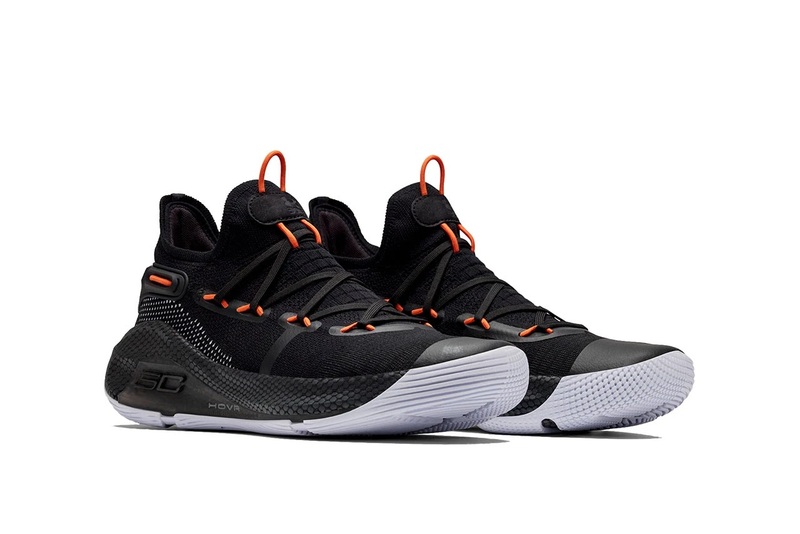 The Curry 6 “Oakland Sideshow” draws its color scheme from the “sideshow” parties in Curry’s native Oakland, where locals show off their finest automobiles in a lively, jovial environment. “I was determined to bring my love of cars and pay homage to the ‘Sideshow’ culture here,” Curry noted in a press release. 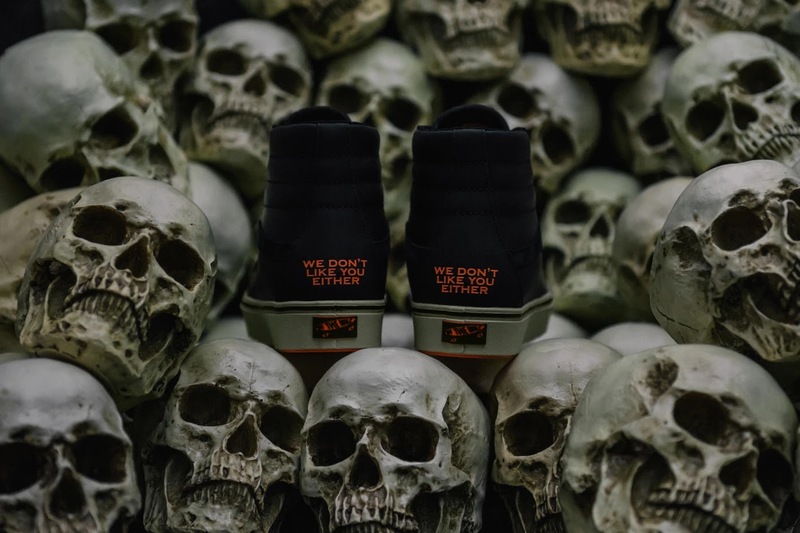 The “Oakland Sideshow” is relatively understated in comparison to the sideshow vehicles, with a dark grey upper and matching midsole. This emphasizes the pops of color at the lace locks and tongue, as well as the speckling that wraps around the heel plate. Before the special colorway debuts, however, Under Armour has teamed up with NBA 2K19 for a special early in-game launch. Part of the “UA Ruin the Game Challenge,” players will have to take down a team comprised entirely of Currys — not only that, but they must break Curry’s career-record 13 three-pointers in a single game. Those who beat Team Curry — 10 Stephen Currys, 2 Dell Currys and a single Seth Curry — will receive an in-game “Oakland Sideshow,” plus bonuses. For those looking to snag the real deal, expect the “Oakland Sideshow” to hit retailers on March 1, along with a matching Stance sock. Limited pairs will drop the same day as the “UA Ruin the Game Challenge” — February 22 — via the SC30 x Oakland pop-up in downtown Oakland. 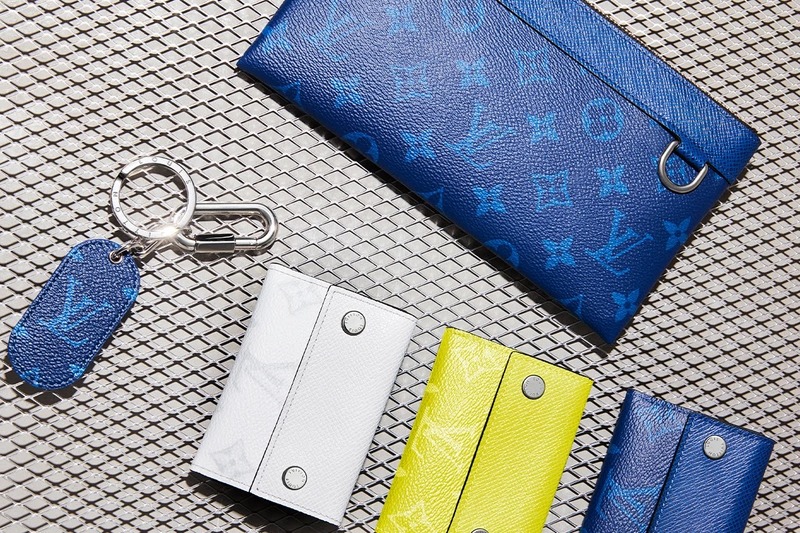 French luxury house Louis Vuitton is expanding its offerings with a new line of leather goods dubbed Taïgarama. 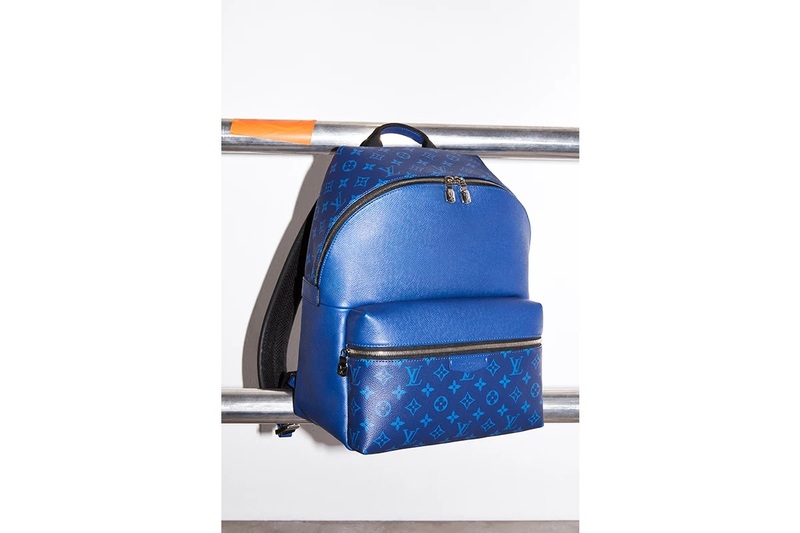 Consisting of bags and travel accessories, each item has been thoughtfully crafted from LV’s Taïga leather injected with the house’s signature Monogram canvas, concluding in vibrant shades of “Pacific Blue,” “Antarctica White,” “Amazon green,” “Bahia Yellow” and “Monogram Eclips.” Successfully incorporating both the spirt of travel and the label’s timeless craftsmanship, each item will resonate well with the fashion hungry crowd. 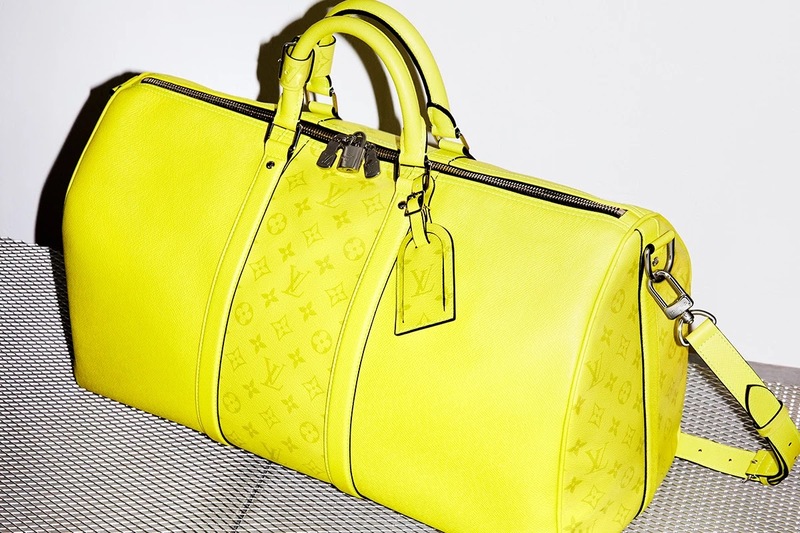 The collection will comprise of the house’s iconic models including the Keepall, Discovery Backpack, Outdoor Bumbag, Messenger Bag and Horizon 50 Rolling Luggage, along with small leather goods such as the Multiple Wallet, Pocket Organizer, key chains, card holders and more. 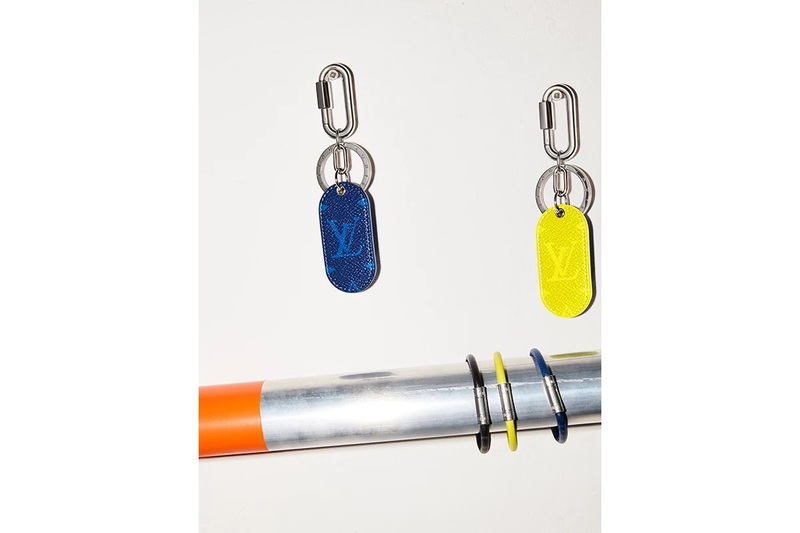 Look for the Taïgarama line to launch at Louis Vuitton stores and online March 22. 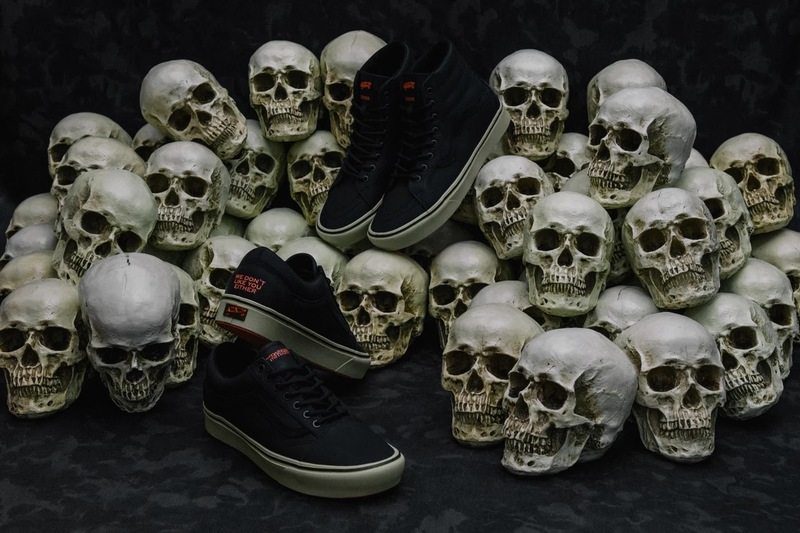 The Darkside Initiative has teamed up with Vans Vault once again to unveil two new silhouettes: the Old Skool ComfyCush LX and the Sk8-Hi ComfyCush LX. 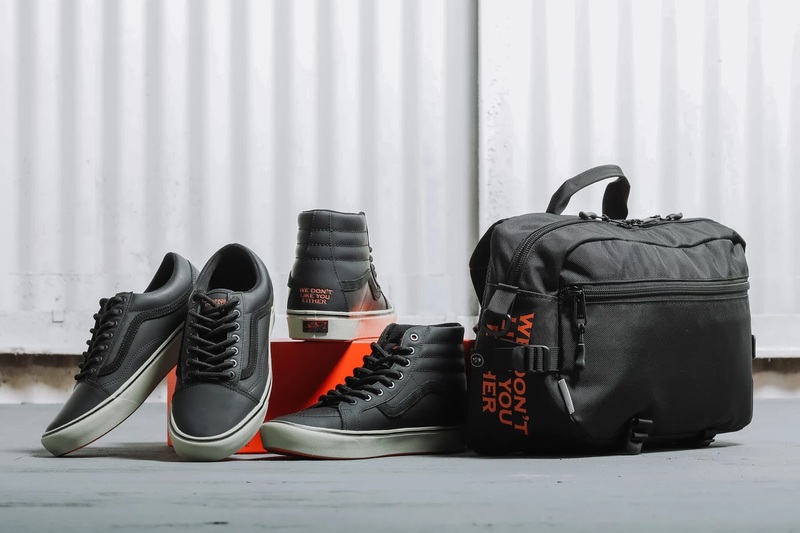 The duo’s previous “Armored” pack included the innovative use of technical fabrics, while this latest partnership experiments with Vans’ groundbreaking ComfyCush sole. The design was inspired by the rivalry between the Pittsburgh Penguins and the Philadelphia Flyers after the 2012 Stanley Cup Playoffs, where Philly fans donned shirts stating “Guess what? We don’t like you either!” in response to Penguin Sydney Crosby’s attitude. 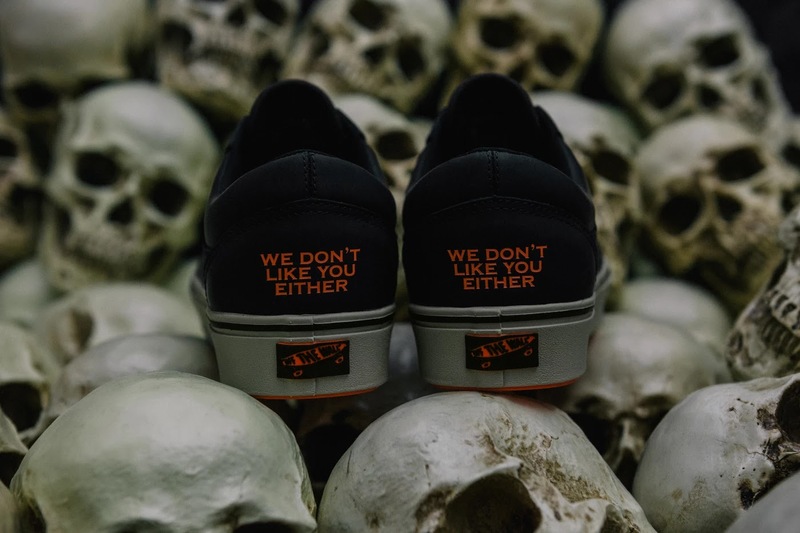 Taking cues from the fans’ flippant attitude, The Darkside Initiative embraced the Flyer’s team hues to deliver an orange and black-themed colorway on the tongue and waffle sole, along with the infamous slogan embroidered on the heel. 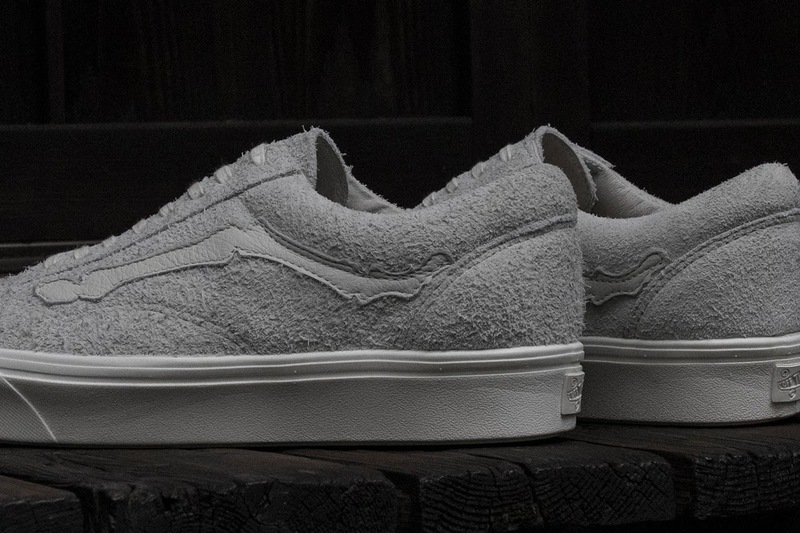 Featuring a matte steerhide leather with combo tanning along the upper, the finish provides a rubbery touch on top of a light grey midsole. The collection also includes a black slingback with DSPTCH, constructed with ballistic nylon and Duraflex hardware. 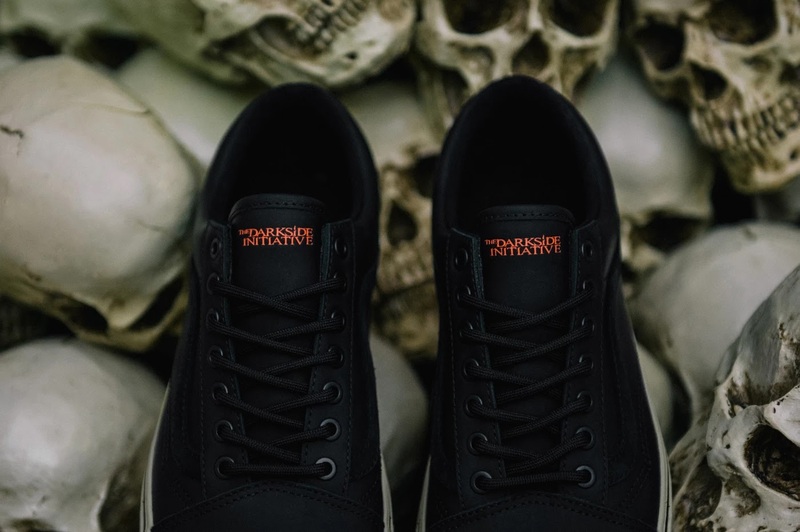 All items from the collaboration are available now at The Darkside Intiative online and its San Francisco stores, with prices ranging from $130-$175 USD. 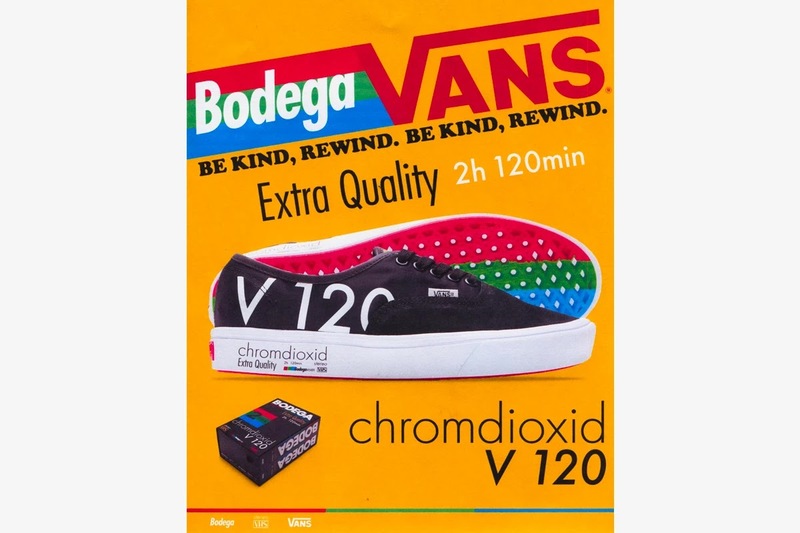 As a nod to the long-forgotten VHS tape, Boston-based streetwear boutique Bodega teamed up with Vans to rework the classical Authentic, incorporating a nostalgic theme into its timeless design. 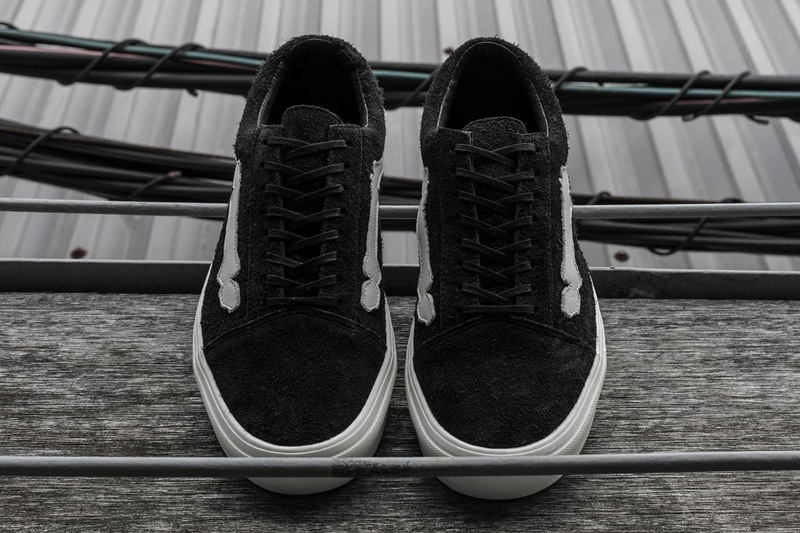 The co-branded edition of the iconic silhouette plays with various textures on the uppers, featuring a nylon quarter and an elevated suede toebox. 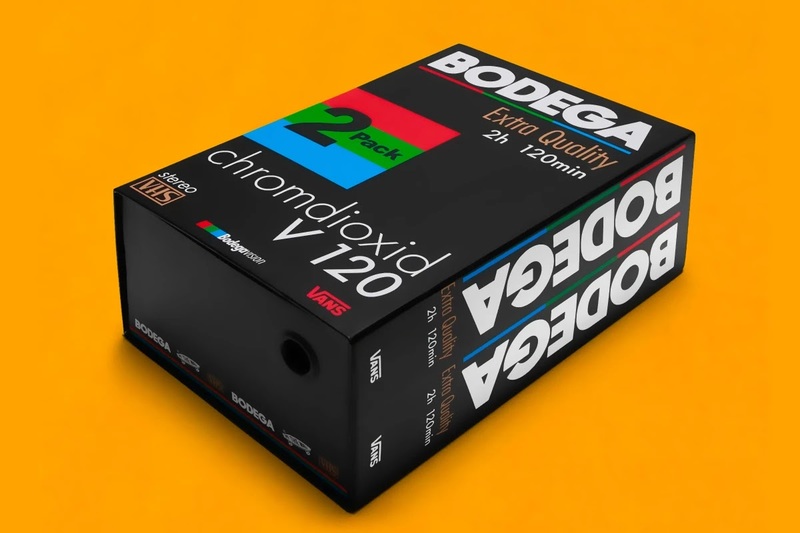 Mimicking a traditional blank VHS box, an enlarged, white “V120” arrives on the lateral sides while the midsole is detailed with vintage box branding. The tongues are done up with a red and green see-through material which resemble the magnetic tape spool on the inside of each VHS tape. 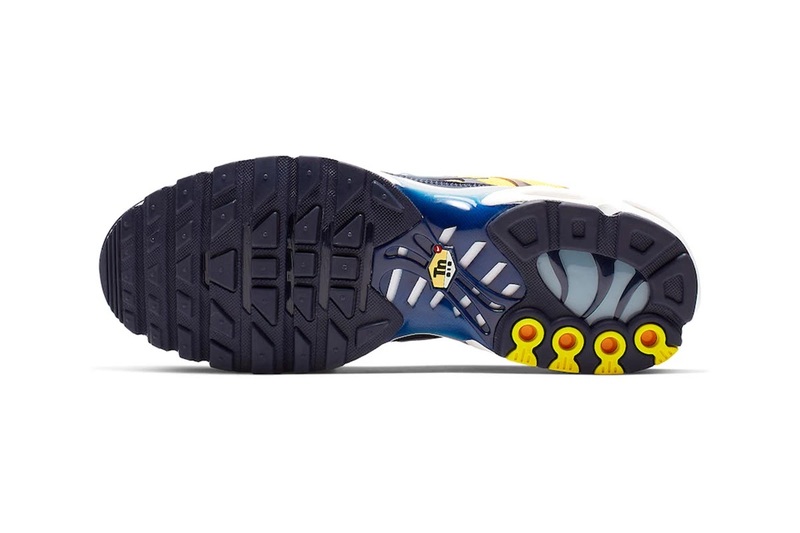 Rounding off the look, the inside is embellished with an anti-pirating sticker-inspired footbed and a RGB-colored outsole. 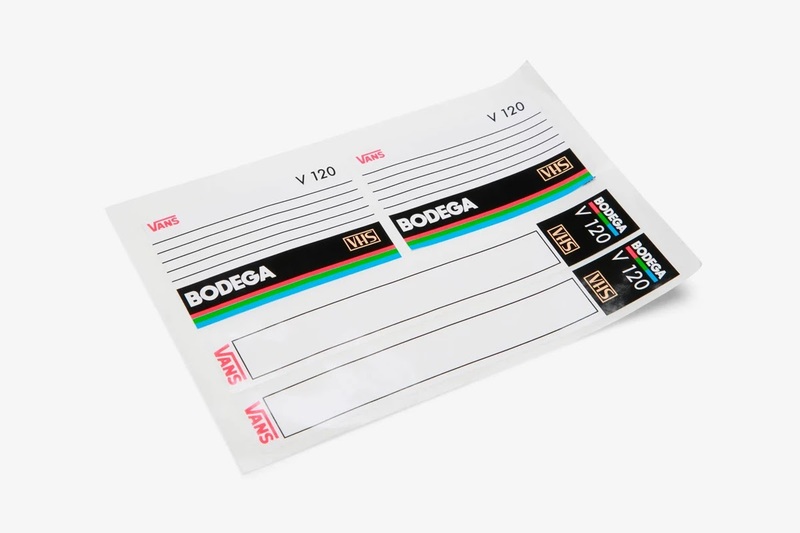 Besides the co-labeled sneakers, the pack also comes with a shoe box resembling a blank VHS case, and blank labels. 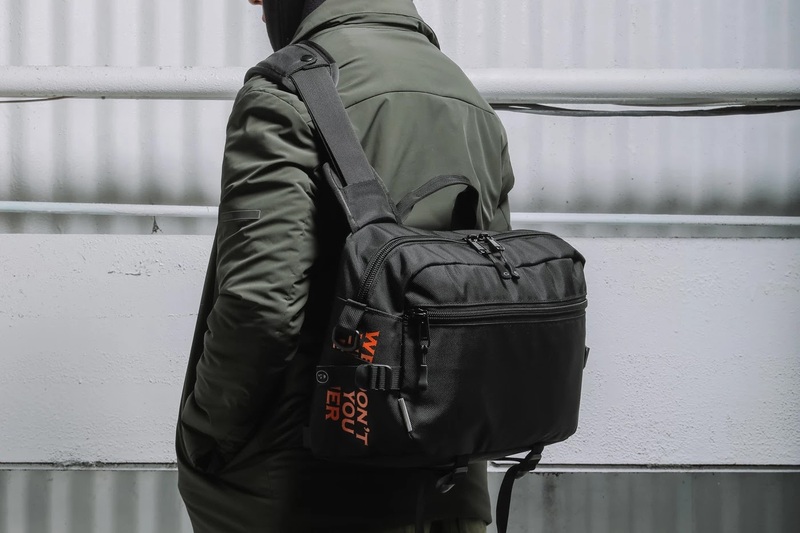 Priced at $105 USD, this collaborative iteration is set to be dropped on February 16 at the Bodega boutique and on its official website. 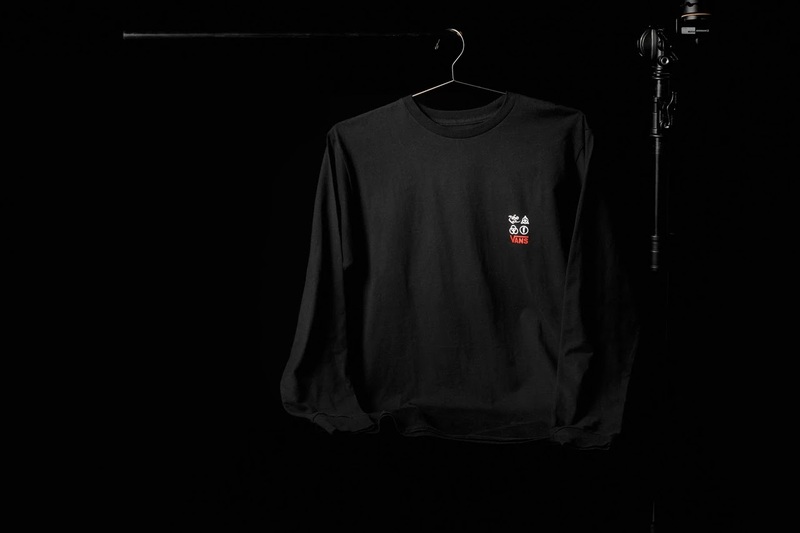 An apparel collection will also be released at the same time. Make sure to mark your calendars. 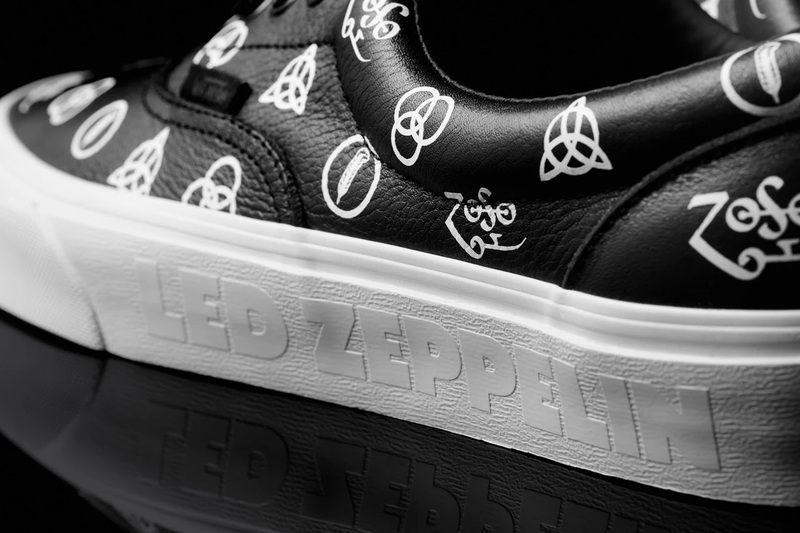 After its recent release of a premium line of woven checkerboard slip-ons, Vans has unveiled its latest collaboration with storied rock n’ roll band Led Zeppelin. 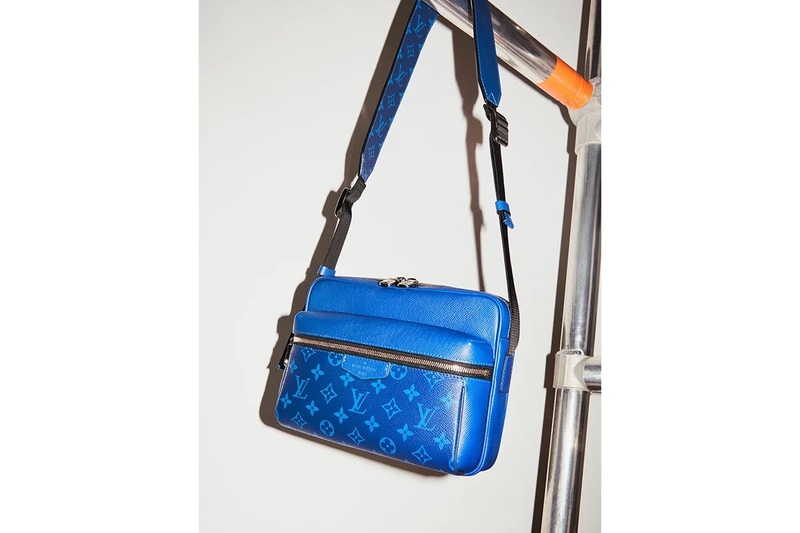 The California-based brand is set to drop a limited-edition capsule collection this month, which will pay homage to the English group’s 50th anniversary of their self-titled debut album. 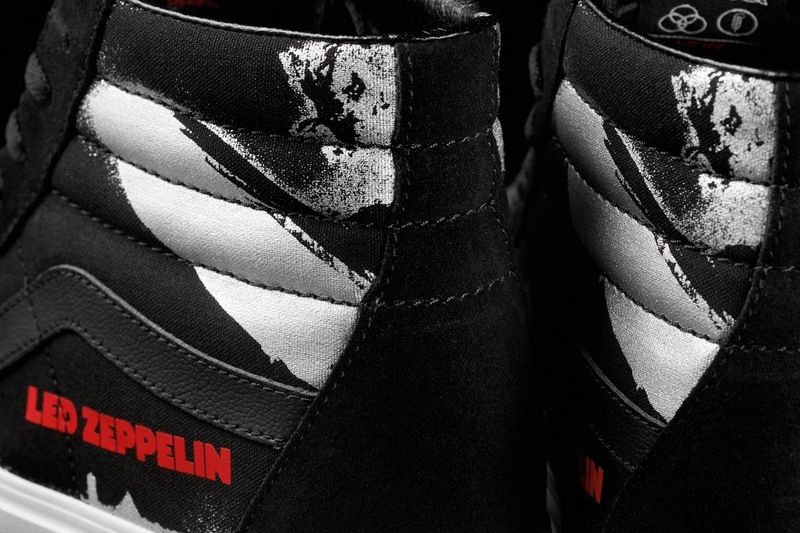 Within the collection is a four-piece mix of apparel and footwear, with each style incorporating a tie to notable Led Zeppelin imagery. The long-sleeved T-shirt comes in all-black and features a focal back-graphic of the band’s eponymous album cover, which depicts Germany’s crashing Hindenburg airship. 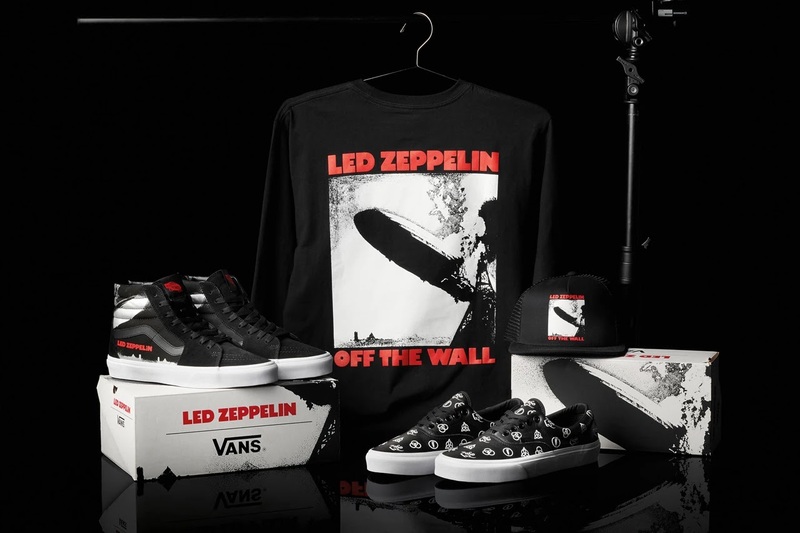 On the front of the shirt, Vans branding is located underneath of the band members’ four respective emblems, which were originally created to represent the group’s fourth and untitled studio album (commercially referred to as Led Zeppelin IV). 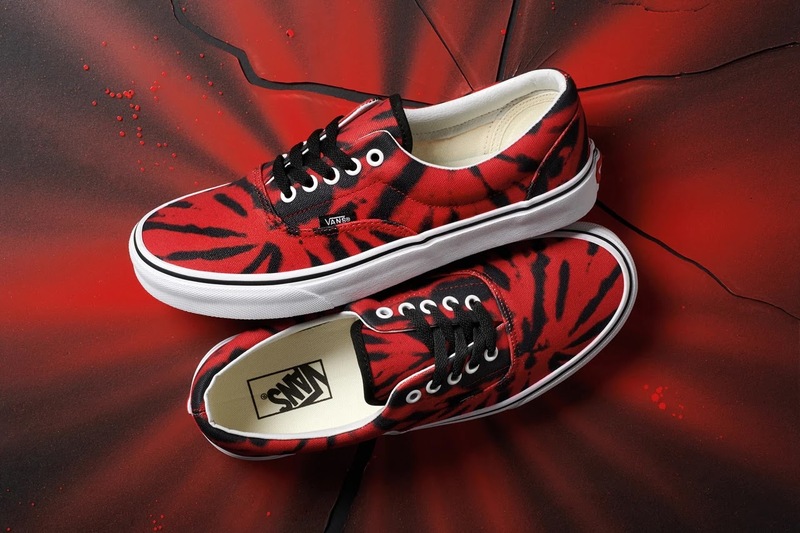 Moving into footwear, Vans has developed two editions in honor of the musicians. 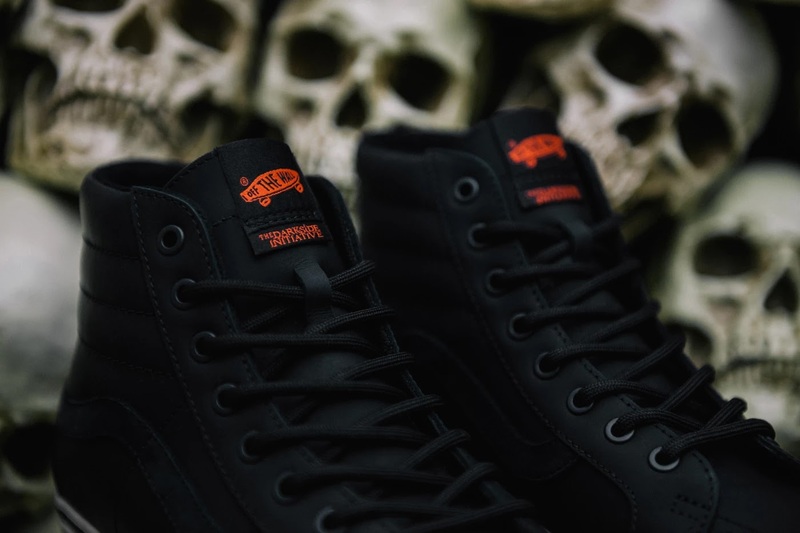 Its Sk8-Hi silhouette takes on a suede and canvas upper while Led Zeppelin’s original album artwork is plastered in metallic silver along the quarter panel. 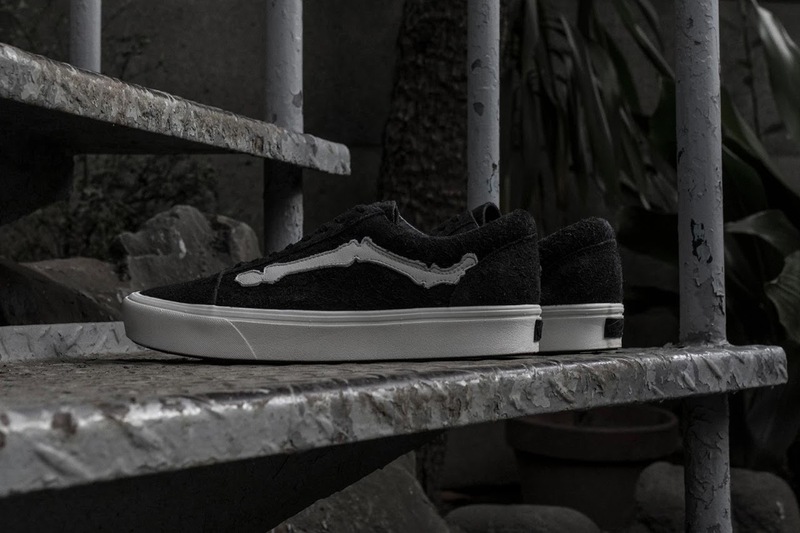 In addition, the style features a black leather Sidestripe, tonal laces and a tonal alphabet-printed sidewall. 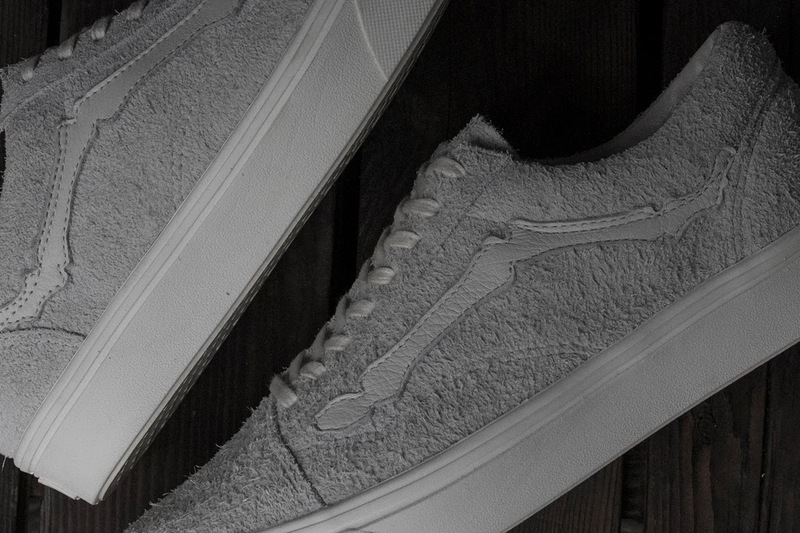 Meanwhile, the label’s Era sneaker features a premium leather construction with a contrasting white design that highlights each unique IV badge. 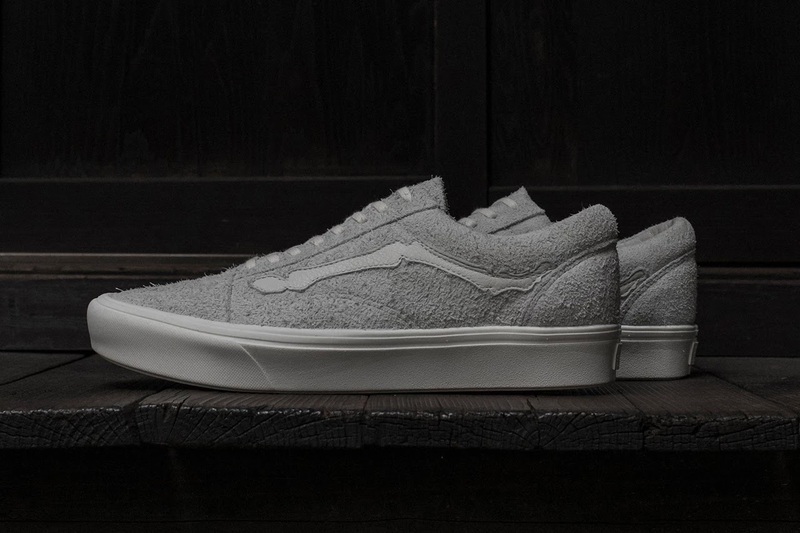 The same icons are also woven into the internal tongue on both versions and will be sold with a custom shoebox. Wrapping everything up is an adjustable trucker hat. Like the tee, the cap comes in black and takes on the same debut album picture. 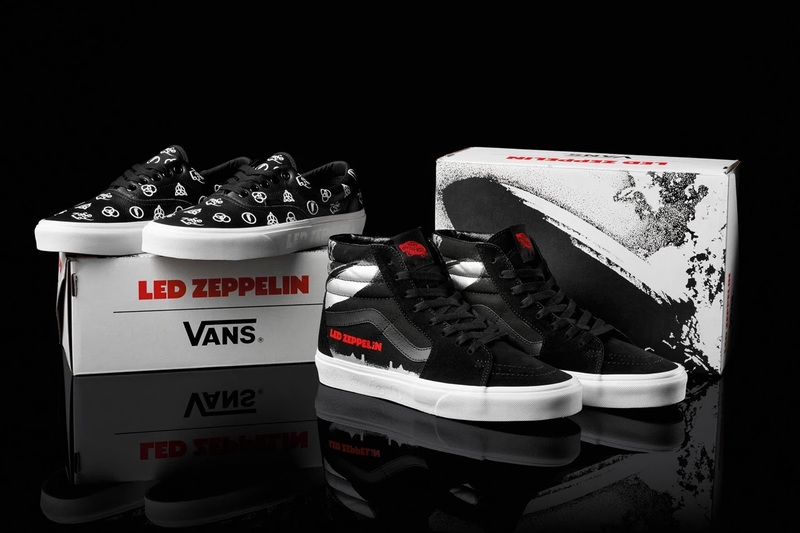 The Vans x Led Zeppelin collection will hit select Vans stores and wholesale partners, Vans.com and Led Zeppelin official website on Friday, February 22.